I am not what you would call a Pixar fanatic. The Incredibles has been, and remains for me, their finest film; the one that feels "of a piece," a fully realized and internally cohesive work. While I admire and absolutely love the formally daring aspects of Ratatouille, Wall-E, and Up, they never quite coalesce into a cohesive whole with the action-adventure demands of the marketplace. Finding Nemo is as close a second place as I could muster from their ouvre, but even that I never fully connected to. Toy Story came out when I was in third grade, and I can more or less trace my growth, both as a person and as a cinephile, through Pixar's reign. When that film came out, I must have seen it four times in the theater and as often as my mom would let me when it came out on VHS. I played the video game, I had all the toys; I may have even been Buzz Lightyear for Halloween, but I can't quite recall. That movie meant as much to me as anything can mean to a nine-year-old. From that experience, I've never quite understood how certain movies can mean so much to people simply by being an integral part of their childhood. If anything, I'm now at a place where I can only admire Toy Story. I look back at my love for it fondly, sure, but the thought of sitting down and watching it again now seems tedious, and impossible to actually connect to on a real, personal level. Even rewatching Toy Story 2, which I only saw twice in theaters in 1999, didn't bring me much closer to the characters who had meant so much to me. 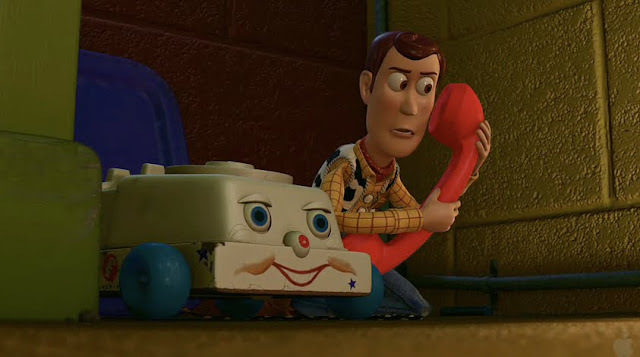 And then, as they say, Toy Story 3 happened. Simply put, it's as close to perfect as I could imagine it to be. Genuinely fun and exciting? You bet - this is the breath of fresh air digital animation has been aching for. As much as I absolutely love Cloudy With a Chance of Meatballs, that largely stems from it being ridiculously funny. Toy Story 3 is more like Fantastic Mr. Fox in that it's absolutely infused with the pure joy of moviemaking, and the smiles it creates are more often the result of that than jokes (and its jokes are strong - even jokes that shouldn't work, like Buzz being reset to "Spanish mode," inexplicably do). And it has weight to boot. Whereas Wall-E and Up were frontloaded with the emotional highs, Toy Story 3 builds, and builds, and builds until it creates a couple of moments you can't believe you're witnessing in a G-rated animated film, so fraught are they with unbearable tension mixed with a really surprising, mature attitude towards mortality. In fact, that qualification isn't even necessary - it is rare to see these moments in a film of any kind, any rating, any nationality. But it's certainly been quite awhile since an ostensible piece of entertainment has stirred these feelings in me. And these moments are exactly the kinds of things that can only happen towards the end of the third film in a series. 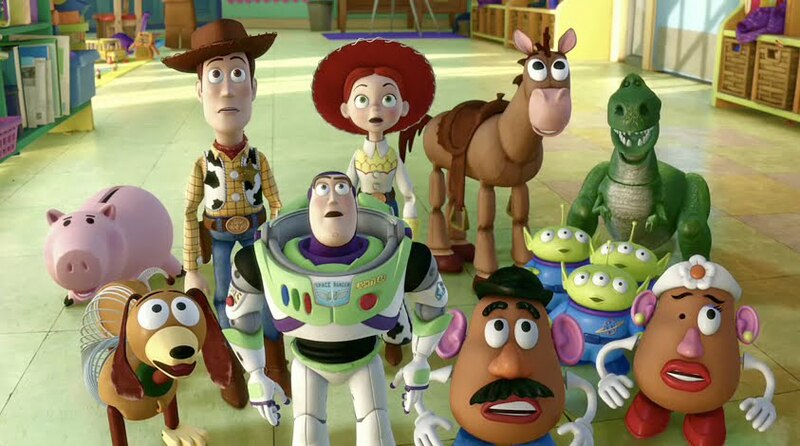 Whereas most sequels (much less the third film in a series) are scrambling to justify their own existence, Toy Story 3 illustrates the surprising necessity of a franchise. Not one based on constant cliffhangers, nor a continuous plot, but three self-contained, thematically linked stories about, of all things, friendship, mortality, and learning to let go. This story absolutely could not be told without what has come before it, and the overarching story of these characters is better for its inclusion. Though I've actually had a fairly enjoyable summer at the movies so far (it's already better than last year's, contrary to popular belief), and have seen some great films over the course of the year in general, my love and respect for everything that's accomplished in Toy Story 3 is so far beyond everything else the cinema has offered me in the past six months. I don't simply recommend it as a great film; it is, in every sense, the reason films have been, and will continue to be, a national sensation.